The percussion sections of the Northeast Brazilian maracatus consist of around thirty to a hundred musicians. 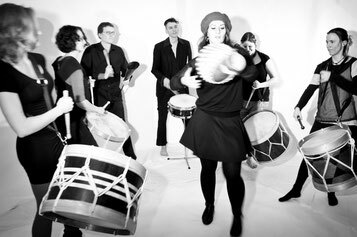 Contrary to that, "Maracatu Minimal" opted for the flexibility of a maximally reduced formation in order to stage complex arrangements and compelling compositions. The musical vocabulary, as well as the instrumentation, are unmistakably rooted in the maracatu-tradition of Brazil, but "Maracatu Minimal" also draws from the creative potential arising from the varied musical socialization of its members. Thus, the group's sound is also informed by music genres like jazz, contemporary classical music, hip-hop or drum'n'bass. 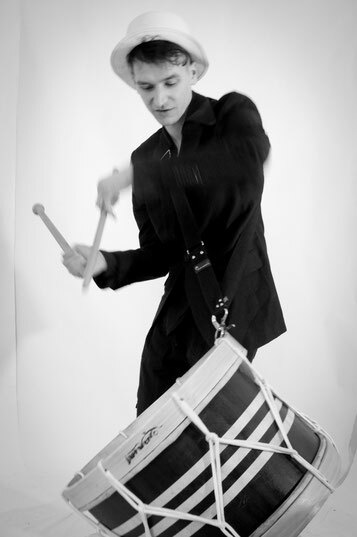 The repertoire is mainly conceived by drummer and musicologist Timon Thalwitzer, who has also conducted scientific research on maracatu de baque virado (port. "maracatu of the turned around beat"). 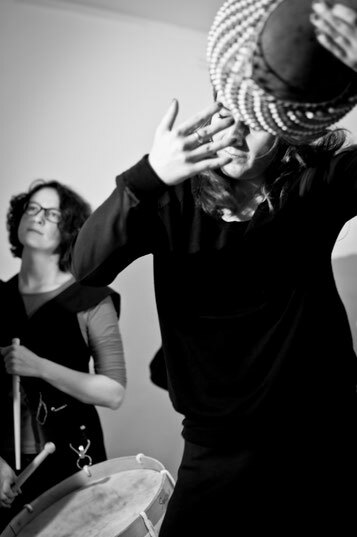 "Maracatu Minimal" convinces its audiences with dancy and powerful rhythms, along with a carnivalesque joy of playing and moving – on stages just like in the street, right among the audience.